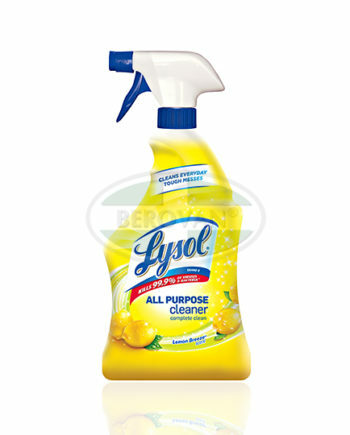 From kitchens to bathrooms to common household areas, Lysol All Purpose Cleaners helps achieve fresh, healthy surfaces. Cutting through tough grease and soap scum, it kills 99.9% of germs to help provide peace of mind for busy families. ✓ 22 oz. ✓ 32 oz. Cut through the toughest grease while helping to protect your family from foodborne illness. 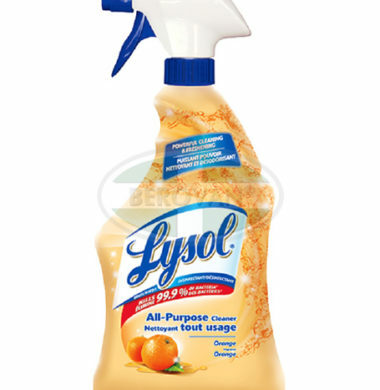 Help protect your family from harmful foodborne illness with Lysol Antibacterial Kitchen Cleaner. 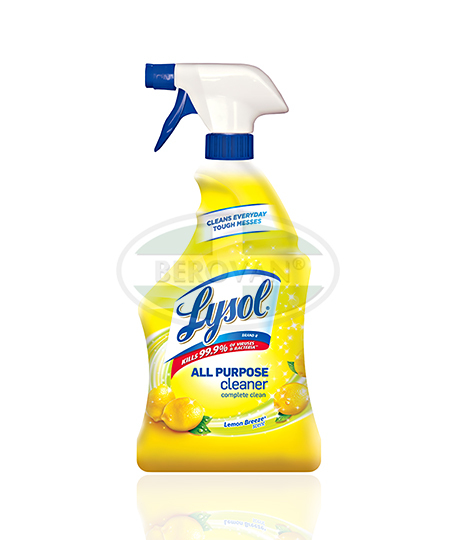 The grease fighting power of this effective kitchen cleaner helps to clean up even the toughest kitchen messes, while killing 99.9% of germs and deodorizing with a fresh citrus scent. Use on countertops, sinks, stovetops, and more to help your kitchen healthy and clean. 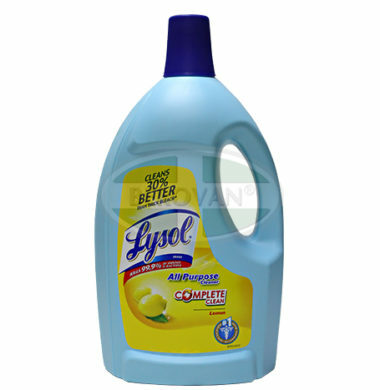 Help keep a healthier home top to bottom with Lysol Multi-Purpose Cleaner. 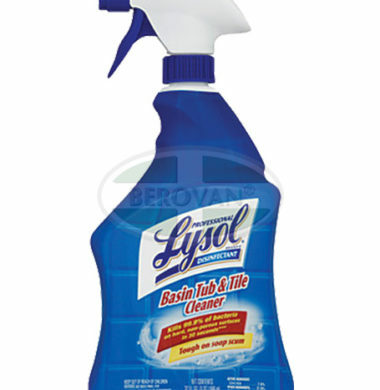 This pourable cleaner can be used on hand, non-porous surfaces in the kitchen, bathroom, and other areas of the home. 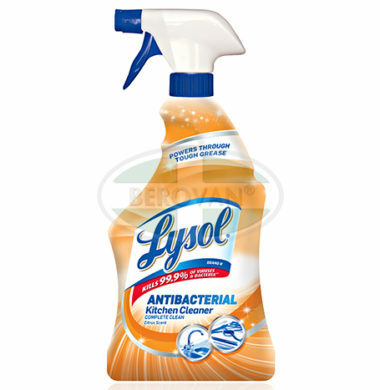 Professional LYSOL Disinfectant Basin Tub & Tile Cleaner cleans every surface in restrooms without bleach or harsh abrasive. The powerful formula removes tough dirt and grime on tub and shower surfaces as well as on sinks, tile floors, and backsplashes. 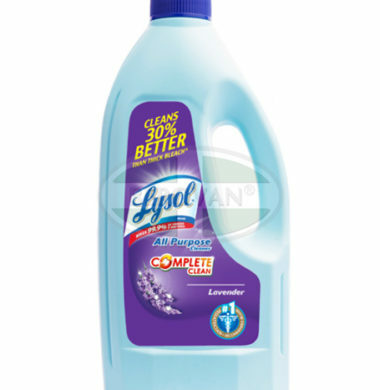 It eliminates stubborn soap scum, mold, and mildew, leaving behind a brilliant shine. 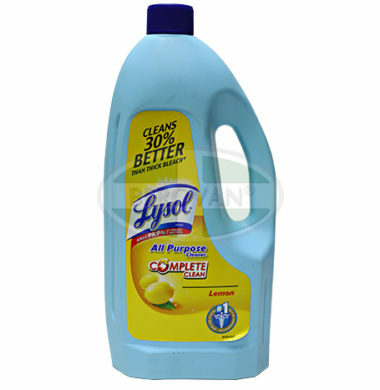 Professional LYSOL Disinfectant Basin Tub & Tile Cleaner deodorizes as it cleans, making it a great choice for around toilets and garbage cans. The formula also helps create a healthier office environment by killing harmful bacteria, viruses, and fungi that cause athlete’s foot, mold, and mildew. Thanks to the easy-to-use spray bottle, it’s a snap to apply this cleaner exactly where you need it. No scrubbing or rinsing required.